It’s official! 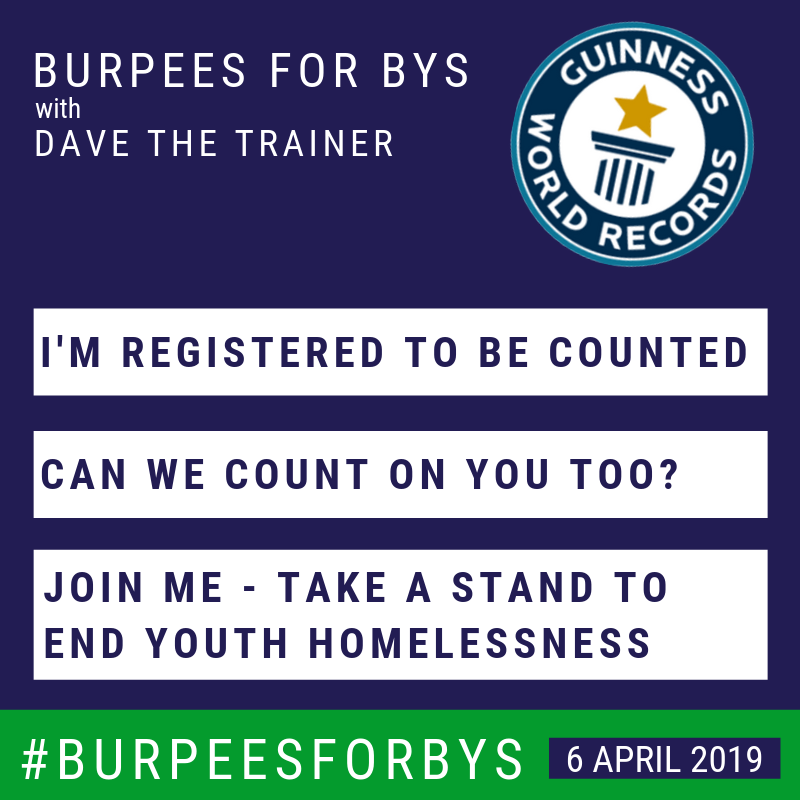 On 6 April 2019, Brisbane Youth Service will attempt to break the Guinness World Record for the most people doing burpees at one time to raise awareness of youth homelessness in our community. Approved – Guinness World Records. We need 1,500 people to show their support for ending youth homelessness by doing burpees together and the record will be ours! What is Burpees for BYS? 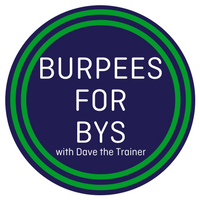 Burpees for BYS is an annual BYS fundraising campaign, initiated by Dave the Trainer in 2017. 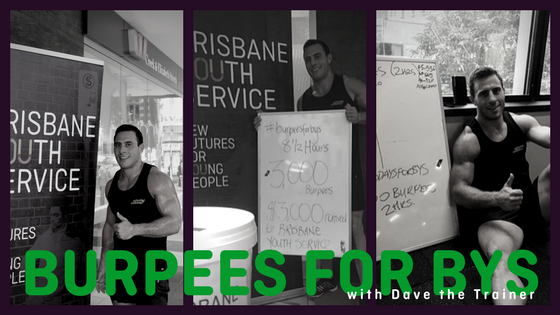 In 2017, Dave Kramer (Dave the Trainer) completed 3000 burpees in 8.5 hours to raise awareness of youth homelessness in Brisbane. Dave raised over $6000 for BYS in 2017 and again in 2018, through donations from individuals and organisations. In 2019, we are aiming to broaden participation in Burpees for BYS and attempt a world record to increase awareness of youth homelessness in our community and raise funds to build new futures for young people facing homelessness. The 2019 Burpees for BYS Challenge will coincide with Queensland Youth Week – 3rd – 14th April 2019. We are looking for individuals and groups who we can count on (and literally count in) our Guinness World Record attempt. Spread the word – like, share, follow. Burpees not your thing? Donate to support the Burpees for BYS challenge. 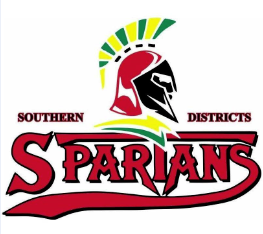 Registration fee $10 per person or $50 for a team of 10. Special rate available for schools and community groups. All proceeds will go to Brisbane Youth Service to support young people who are vulnerable and homeless. Will you take a stand to #endyouthhomelessness? Please contact us at partnerships@brisyouth.org if you would like more information or have any questions at all. We’d love to hear from you! Our fitness community, empowers our youth! We encourage all fitness organisations (gyms, crossfit boxes, bootcamps, fitness centres, personal trainers, studios etc) to show your support for ending youth homelessness through this world record attempt. Get a group together and join us! BYS supports vulnerable young people (aged 12-25 years) and their children to navigate life challenges and thrive in the community. BYS has been helping youth in Brisbane and surrounding areas since 1977. We need just 1500 people for the world record to be ours! Take a stand to end youth homelessness.